Sashimi (刺身) is thinly sliced raw food. 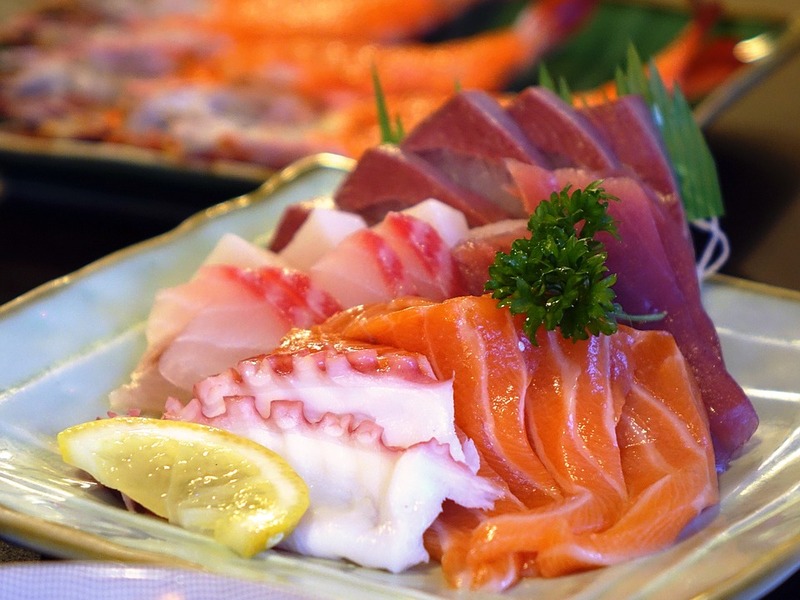 The practice of eating raw fish first arrived in Japan via China around 500 BCE, and since then it’s become an integral part of the Japanese diet. 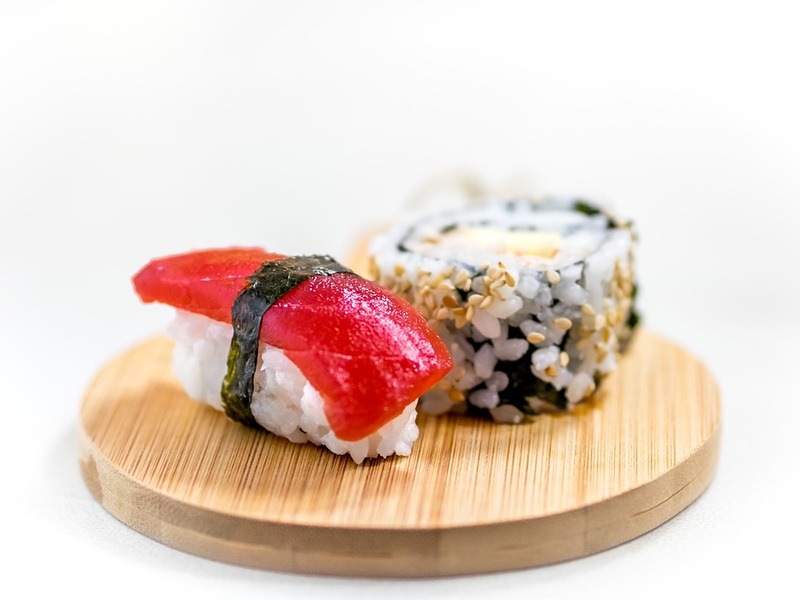 Some people confuse sashimi with sushi, but they are very distinct. 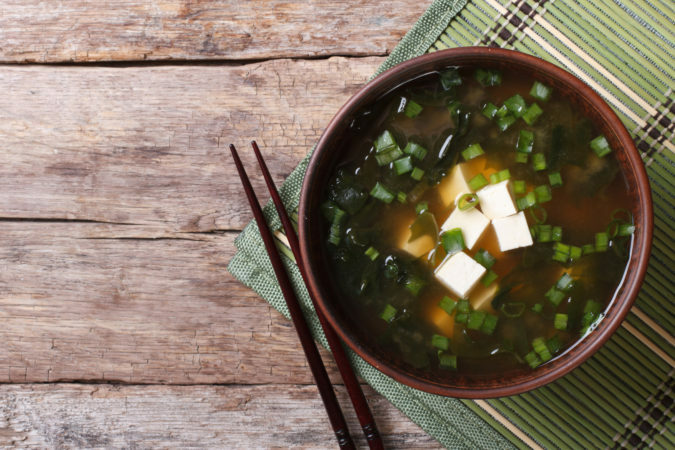 It’s one of the world’s simplest foods. Sashimi is a direct taste experience. Fish must be of the highest quality. The simplicity of sashimi lends itself well to aesthetically pleasing dishes. A sashimi master must know his or her way around a fish. They must also have artistic sense. A sashimi dish without style is just lumps of raw fish. 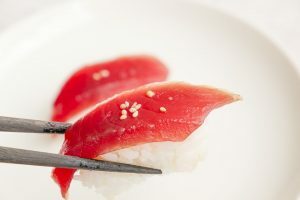 Most types of sashimi are seasoned with soy sauce by dipping each piece into a small dish of soy sauce before eating it. Depending on the type of sashimi, a little bit of wasabi or ground ginger may be added to the sashimi piece. 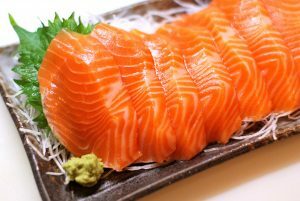 Sashimi can be eaten as a standalone treat with some beer or sake, or as part of a larger course meal. The following varieties of sashimi are the most common in Japan. Akami, it’s the lowest in fat and this is considered a bad thing. Higher up on the scale is toro – the pink, fatty belly meat, which is especially prized for its rich, buttery flavor. The next grade up in tuna. Pink with a higher fat content. Otoro – The most expensive cut of tuna, taken from the lowest part of the belly next to the head. Very high in fat. Salmon is easily recognized for its bright orange color. 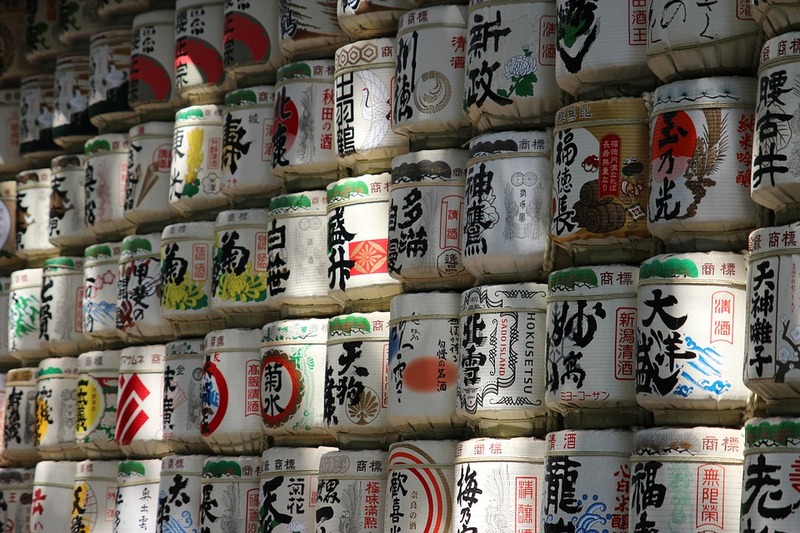 Sake is another fish that is popularly served as sashimi. its flesh is tender, fatty and delicious. Tai, with its mild, subtle flavor, is considered one of the top white fleshed fish in Japanese cuisine. It’s one of the most highly prized fish in Japan for its excellent flavor, texture, and color. 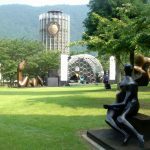 Because of this, it’s considered a symbol of celebration and good luck. Therefore often served in times of celebration, such as at weddings and during the New Year. 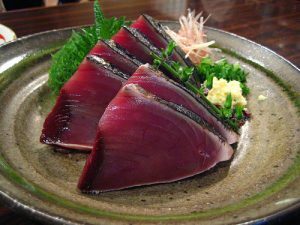 Katsuo is one of the most popular kinds of tuna in Japan, and one of the most popular ways to eat it is “katsu no tataki” style, lightly seared on the outside and raw the inside, served thinly sliced with ponzu citrus and garlic or ginger. Ika is one of the most common types of seafood served as sashimi after tuna. The translucent white flesh of the ika’s mantle has a firm texture and a mild flavor. 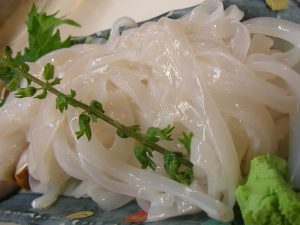 It’s usually julienned into thin slivers that resemble noodles to make the presentation more attractive for sashimi(called Ika somen). In order to be served raw for sashimi, the octopus must be very thinly sliced in order to be easily chewed and to draw out its subtly sweet aroma. The tentacles are often thinly sliced and served as sashimi. Though more popularly served grilled, saba is also enjoyed as sashimi when in season. Because of its boldly fishy flavor and oily taste, saba goes well with the sharpness of diced green onions and grated ginger. Of the various kinds of shrimps eaten in Japan, the one most commonly served raw is amaebi (sweet shrimp). It’s a young northern cold water shrimp that is said to have a naturally sweet taste. A good amaebi is clear without too much pink. Scallops are incredibly sweet and creamy when served fresh out of their shell for sashimi. 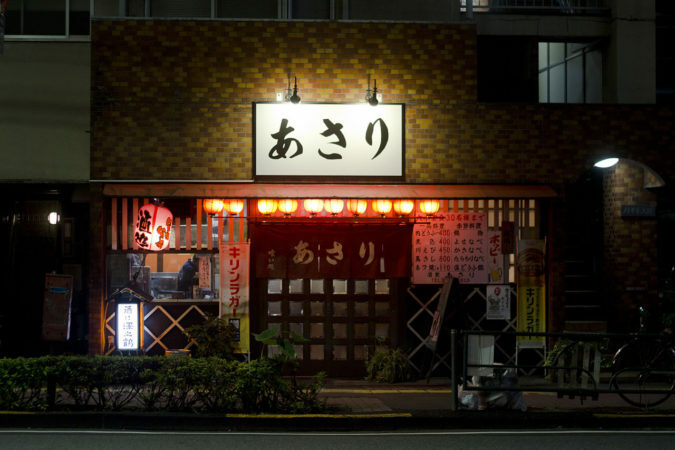 Hokkaido and Aomori produce some of the best hotate in Japan. Hokkigai is one of many types of shellfish that are eaten as sashimi. The triangle shaped foot of these clams may be served raw, and is more commonly lightly boiled which turns the tip red and firms up the meat. Best in winter, good hokkigai have a meaty texture and sweet flavor. 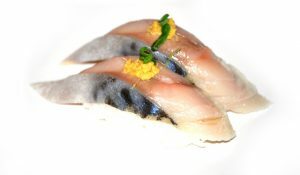 A yellowtail fish is a leaner, milder and slightly creamy tasting fish that comes into season during the early summer. The color is a very light pinkish-white that’s almost translucent. These 10 types of sashimi are enough to get you into delicate world of sashimi. Enjoy! 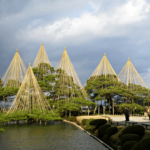 Contact us and we will make a perfect Japan itinerary just for you.